Red, Silver, Black, Blue. All with white USB Cable. Note sliver color will laser tone on tone. The other colors engrave silver. You may assort the colors in 25 unit lots maintaining the same laser engraving. 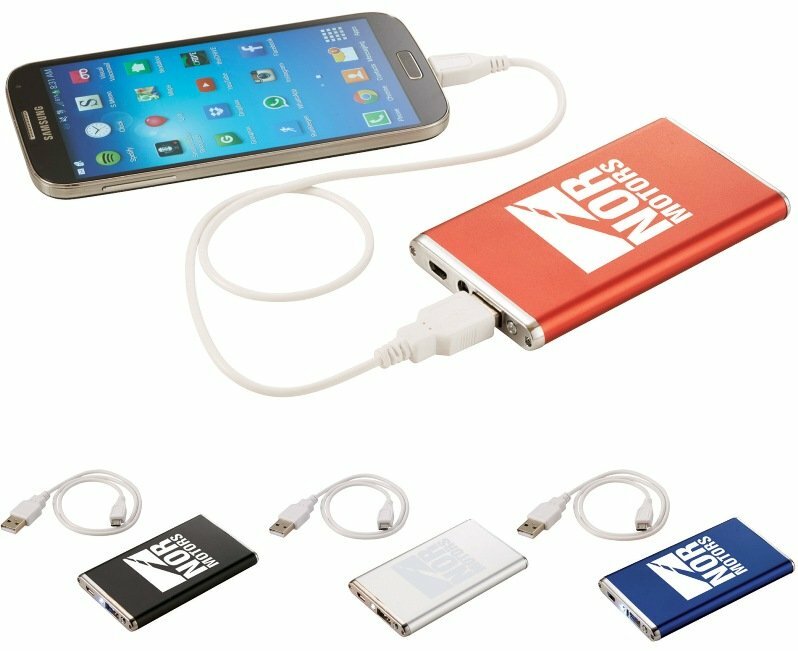 Note that the Slim Power Bank is available in color printing, same 25 unit lot applies. The above color choices are ONLY for a one color imprint on power banks. Imprints over one color are printed in digital four color process, no metallic colors.